Well, we come to the end of our trip. 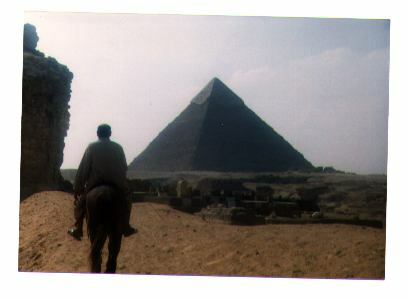 I was not in Egypt long, and wasn't feeling well. 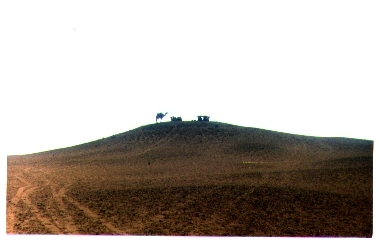 Still, I managed to make my way to the edge of Cairo. You pull up in a taxi as the city comes to an abrupt halt at a long asphalt road. Literally right across the road the Sahara rolls off in the distance in endless dunes. 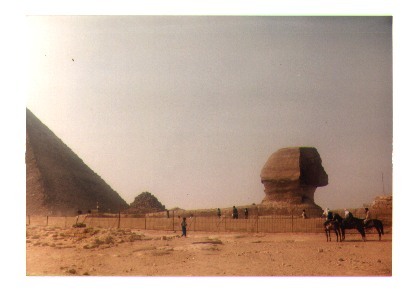 And directly in front of you sit the great pyramids. I rented a horse and guide, and we rode around the ruins for half a day. You can enter some of the pyramids, but I wasn't up to it. There are some incredible museums in Egypt, with some of the great treasures of history -- the Rosetta Stone, king Tutankhamen, scrolls written 2000 years ago still intact. But larger than all of these things is the legend of Ancient Egypt, where kings ruled as gods and built these monuments that still stand today.